Prodotta per la prima volta nel 1959. Di colore dorato, limpido, forma un ampio cappello di schiuma bianca, fine con buona persistenza. Al naso malto, leggera tostatura, note di miele. Corpo medio, bassa carbonatazione. Il malto domina anche al palato, con dei forti sentori alcolici. Finale secco seguito da un retrogusto amaricante, leggermente erbaceo. Strong lager (ABV 7.2%) industriale sulla quale avevamo ovviamente poche aspettative. Sostanzialmente una lager europea ad alta gradazione alcolica. Decente, ma regala poche emozioni. Bottiglia da 33 cl. Clear golden color with a wide foamy and good lasting white head. On the nose, malt with some toasted notes and honey. 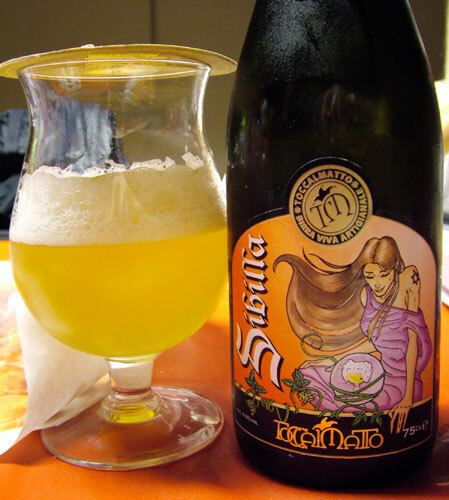 Has a medium to light body with low carbonation. Malty palate, with strong alcohol notes. Finish is dry with a slightly bitter and grassy aftertaste. We did not have too many expectations on this strong industrial lager (7.2% ABV) which is basically a common lager with a high alcohol content. It’s a decent beer but does not give us any thrill. 33 cl. bottle. 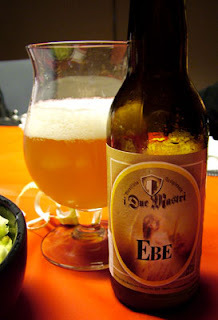 Belgian ale style 'Ebe' from italian microbrewery I Due Mastri, pours a cloudy straw yellow with a nice lacey creamy white head. Aroma is quite strong; grain, spices (coriander), citrus (orange) and fruity notes (apple and pear). Body is light, carbonation low. Taste is bitter (citrus, herbs) and well balanced with some sweet notes of cereals and fruits. 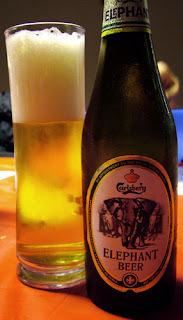 Finish is dry with a nice bitter aftertaste (orange peel). Very drinkable, pretty well done and refreshing. Just right for summer. Thumb up ! La Petrognola is a micro brewery operating since 2002 and brewing using only "spelt", a cereal from Italian region of Garfagnana. Hazy amber color with a compact white head, medium lasting. 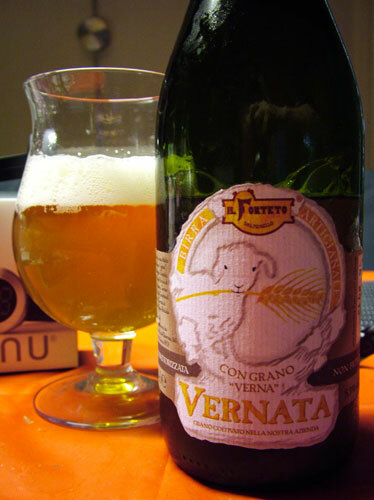 Aroma is very fresh, grain and fruits (citrus but also apples, pears..).Has a light body with medium-high carbonation. 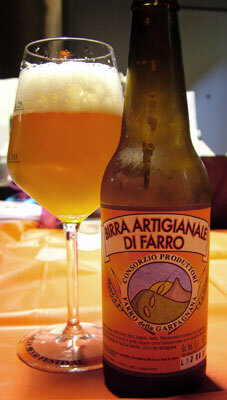 Taste is sweet, grainy, fruity (citrus) and some yeast spices. Finish is dry, with a hoppy bitter aftertaste with some citrus notes. Very good and refreshing, not too faraway from a Belgian “wit/blanche”.